This is edited version of the outfit named Hula Dress that came with Bon Voyage. I removed the grass cuffs that were on the wrists and ankles, Along with adding sandals to the feet. 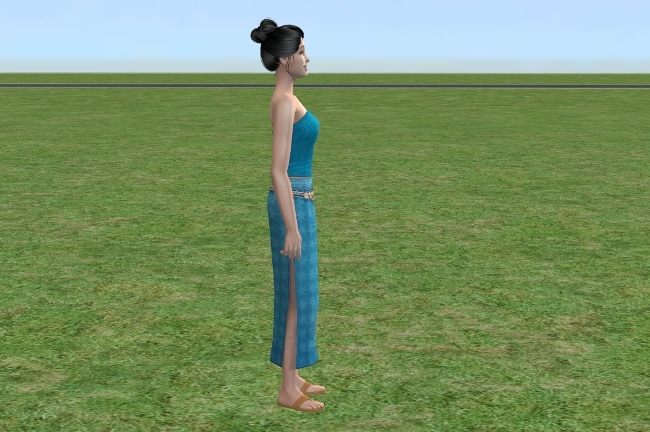 I made both a custom version of the outfit and a version that replaces the original outfit by EA/Maxis. Each version of the outfit also has a second version which has a lei. Terrific job on this, Aaron. I have been seriously thinking of doing a few recolors of your edited hula dress for SP's La Petite Boutique! Be my guest Sugah, I'd be curious to see what You came up with. I myself have been considering doing a recolor or two for the outfit.